Imagine a newly arrived toddler has entered through the doors of an orphanage for the first time. All the child has is the clothes on his or her back. That’s where KKOOM provides approximately $125 to orphanage caretakers to purchase basic necessities, such as clothes and other essential items. Since 2016, KKOOM has supported 11 children to receive a Welcome Boost fund. In late July, two male toddlers who arrived at Samsungwon Orphanage and Emmanuel’s Children Home benefitted from our Welcome Boost Funds. Read below to learn more about each toddler KKOOM helped to welcome in a positive environment. 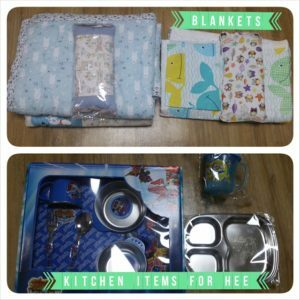 We also had a KKOOM supporter recently raise money for these funds and you can read why she had the heart to raise money for this particular program. Update: Child’s name is HyungJun. We apologize for the confusion. Young is the name of his caretaker at the orphanage. 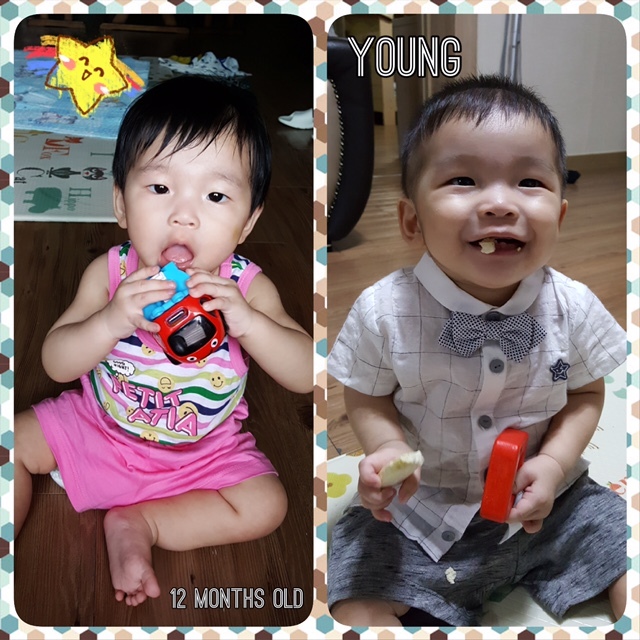 HyungJun arrived at the orphanage around July 18th weighing 16 pounds at 11 months old; the average weight of a one-year-old is 21.5 pounds. His house mother purchased new clothes and underwear because he only had the clothes he was wearing when he arrived. He loves to laugh and listens well to his house mother. She promised him “I will help your body and mind grow into a healthy child.” We can see the difference in his physical demeanor between the photo on the left, which taken when HyungJun first arrived and the photo on the right where he’s beaming with a smile which was taken just two weeks after his arrival. KKOOM is thankful his house mother is already starting to improve his health and wellness. 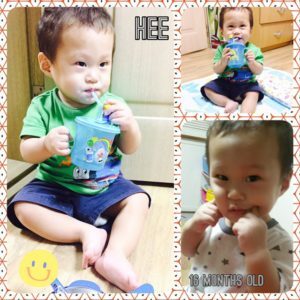 Hee is very good at eating well while adapting to his new environment. Arriving around July 25th, he is the first child we have supported at Emmanuel’s Children Home with the Welcome Boost. With shortage of school supplies to start preschool, his house mother plans on buying basic school items he needs, while also purchasing toys and nutritional snacks. Thank you to Liat and our KKOOM donors for helping us impact these orphans. The Welcome Boost Funds help the children start their new beginnings in a positive way.